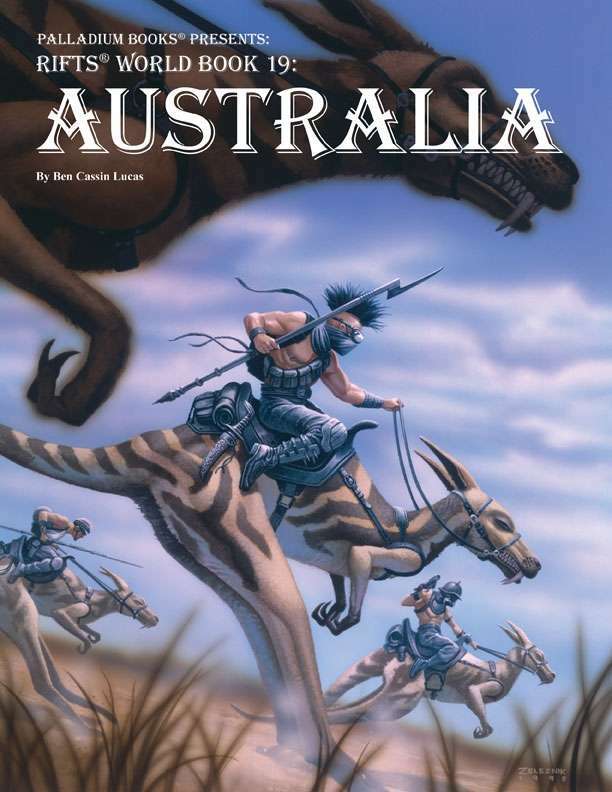 Isolated from the rest of the world, the Land Down Under is a unique and wild land of survival, adventure, monsters and magic. Written by native Australian Ben Lucas (with additional material by Siembieda). One of the most requested Rifts® World Books is finally a reality! Melbourne & Perth, two high-tech powers who may become the Coalition States of Australia – hard, paranoid, & cruel. Rules for creating Outback communities. Over 20 O.C.C.s like the Bushman, Jackaroo and Road Sentinel. Mystic O.C.C.s include the Sham-Man and Songjuicer.